But then I chanced upon this - the DC Dosa - wow, I couldn't believe my eyes. South Indian food - this is my kind of comfort food - the food that I crave so much in Songdo. And guess what - I found it in the District! 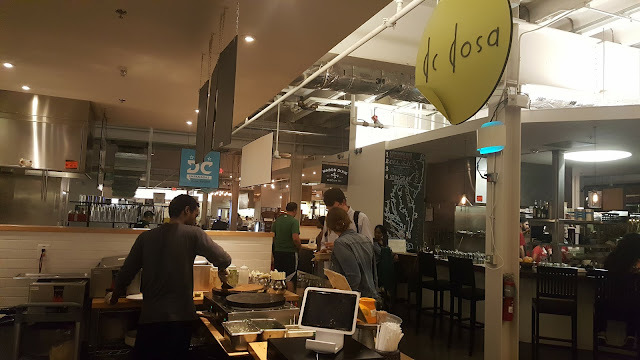 I did a quick Google search on the DC Dosa while I waited for my dosa to be prepared. 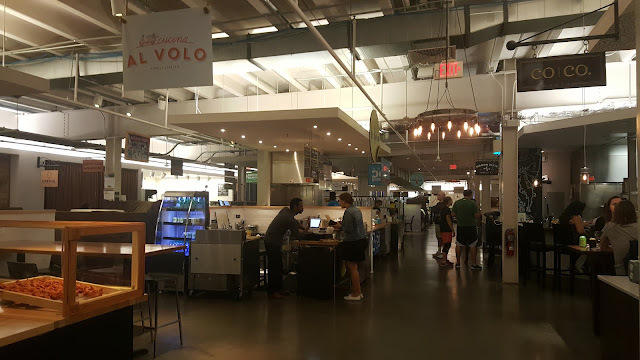 The chain was founded by Priya Ammu, who came to the United States from Mumbai, the city I also call home! Her love of food developed after arriving in the United States to attend university at the age of 19. 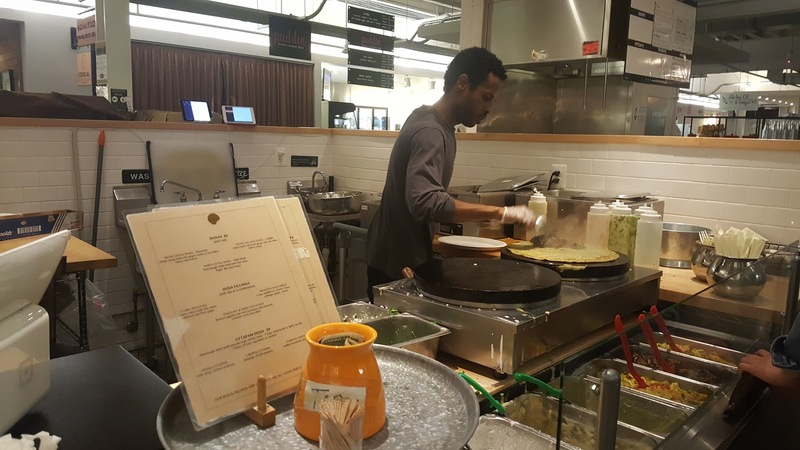 And after a career in hospitality and information technology, she ventured into entrepreneurship in 2012, opening the first outlet of DC Dosa in Foggy Bottom area of the District. And seeing the number of whites lining up to order their dosas was a clear testament to the soft power India commands with its unique cuisine! 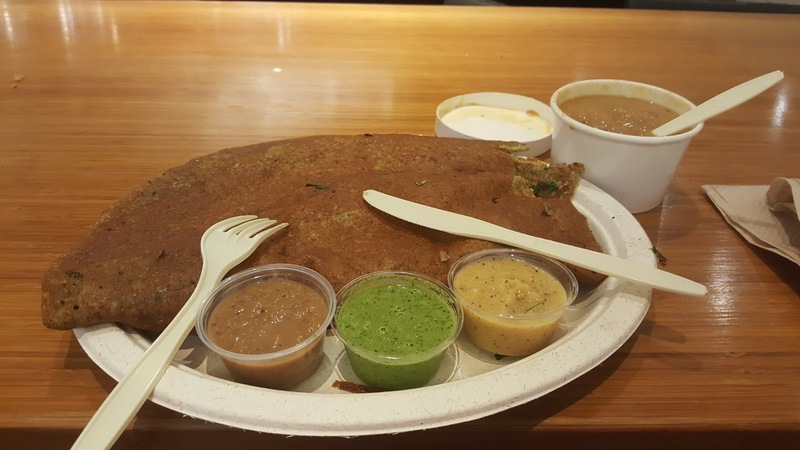 And finally I get my dosa which is quite simple yet delicious - the taste of India in the heart of the District, so why shouldn't I say "I Don't Want Nirvana! I Want Great Food, Always! "?